Here at MOMS, we’ve been guilty of focusing on Jack Grealish’s loan exploits in the past months and neglected other young Villan’s loan progress. Well, this weekend Samir Carruthers gave us a reason to look his way, as his impressed at MK Dons with a wonder goal. Carruthers has been quietly plying his trade at MK Dons in Division One since August last year. While not ever present, the 20-year-old Villan did open his account with a smartly taken goal when coming on as a substitute in a 2-2 draw with Bristol City last year. Carruthers though has had to wait until this weekend to get his next goal, but it was certainly worth the wait as his individual effort against Oldham was top draw, especially when you factor in the state of the muddy pitch [see around the minute mark of the below video]. It certainly mirrors a Jack Grealish goal for Notts County a few weeks back. At the moment, the Under-21 Irish international is slated to be with the Dons until April. The team are currently upper mid-table with an outside chance of the play-offs, if they string a few wins together. You’d hope that if Villa secure Premier League safety with a few games to go (perhaps unlikely) this season, Carruthers might get some game time in a Villa shirt in the final games in May. 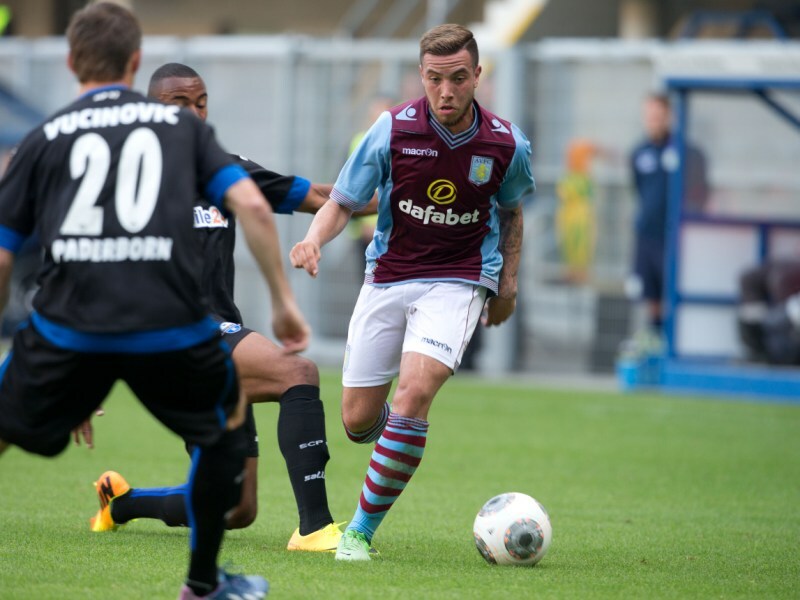 Potentially, both Carruthers and Jack Grealish offer the Villa first team options in attacking midfield in future seasons, although a more forceful defensive midfielder presense would perhaps be needed to allow them to fully blossom.